T-Mobile is getting ready to launch the Lumia 640, one of the two mid-range smartphones that Microsoft announced earlier this month at MWC 2015. The carrier is currently listing the Lumia 640 (LTE variant) on its official website, though for now it can only tell us that the handset is "coming soon." Microsoft already revealed that the Lumia 640 LTE would cost around $160, and that's how much T-Mobile will probably ask for the handset (if not less). While it's going to run Windows Phone 8.1 at launch, the 640 will be updated to Windows 10 sometime later this year (just like its bigger brother, the Lumia 640 XL). 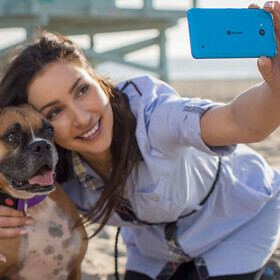 Powered by a quad-core Qualcomm Snapdragon 400 processor clocked at 1.2 GHz, the Lumia 640 features a 5-inch display with 720 x 1280 pixels, an 8 MP rear camera, 1 GB of RAM, and 8 GB of expandable storage space. The smartphone weighs 145 grams, measures 141.3 x 72.2 x 8.8 mm, and comes with a 2500 mAh battery. Besides being released by T-Mobile, the Microsoft Lumia 640 will also be available at AT&T and MetroPCS (the latter might sell it for just $99.99). Any takers? I would prefer the Lumia 640 xl, but I would pick up a 640, as it would make an excellent secondary handset. Correct, plus it has LTE onboard and it is cheaper.